Cricket Australia have confirmed that the first two games of the ODI tri-series, which involves Australia, India and England, will be swapped. Australia captain Michael Clarke is currently in a race against time to be fit for the national team’s upcoming tour of the United Arab Emirates, where they will face Pakistan next month. Australia captain Michael Clarke has announced that he believes the 2015 World Cup is more important than rankings at the moment. Australia pace bowler Nathan Coulter-Nile underwent surgery on June 24 in Melbourne to repair his troublesome left hamstring. The exposure of the match-fixing scandal taking place in the Indian Premier League (IPL) this year has sent shock waves across the cricketing world and has undoubtedly left an everlasting stain on the tournament and the Board of Control for Cricket in India (BCCI), but what will sting the board even more is the fact that the bookie arrested was a former Rajasthan Royals player. 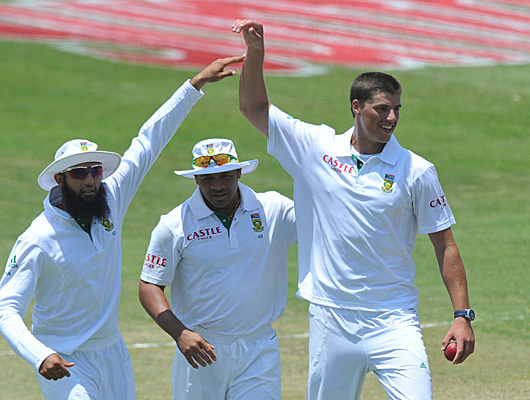 South Africa pace bowler Marchant de Lange is nearing his international return after having spent nearly nine months on the sidelines with a stress fracture in his back.